Why do citizens engage with the institutions of the state when the personal costs can be high and the benefits uncertain? What strategies can the state use to incentivize participation? Under what conditions is a positive rather than negative inducement more powerful in motivating participation? 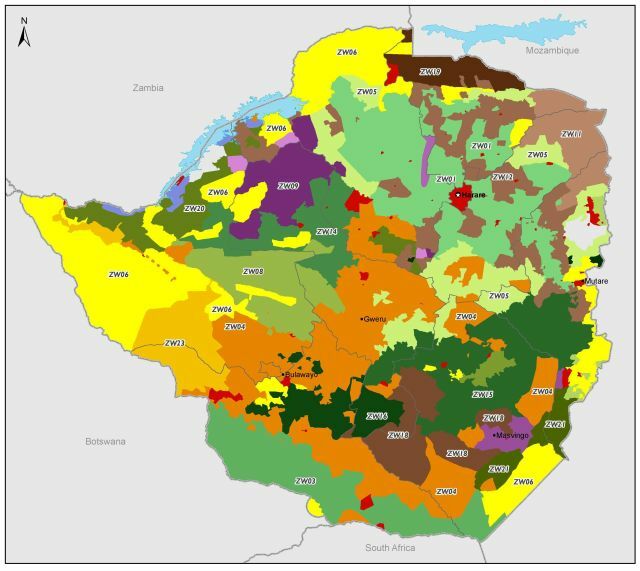 This project explores the determinants of public participation in government in the case of Zimbabwe using a unique mix of original and existing data sources from remote sensing, surveys, and participatory methods. The main outputs of this project are twofold: first, a theoretical study of the relationship between environmental factors and public participation; and second, a methodological study comparing the validity of different methods of measuring participation in Zimbabwe. Popular participation in collective efforts has long puzzled social scientists. One possible answer for why people participate in collective efforts to engage with the state is that the state provides inducements to individuals or small groups to internalize the collective costs and benefits. A key hypothesis of this project is that economic inducements such as access to state support for agriculture or nutritional supplements will be more effective in inducing participation at lower levels of economic security. The methodology in this research combines both qualitative and quantitative methods with a focus on proving and tracing causal relationships. Proving that changes in economic security cause shifts in the effectiveness and mix of strategies used by the state requires the identification of a source of exogenous variation in the independent variable. 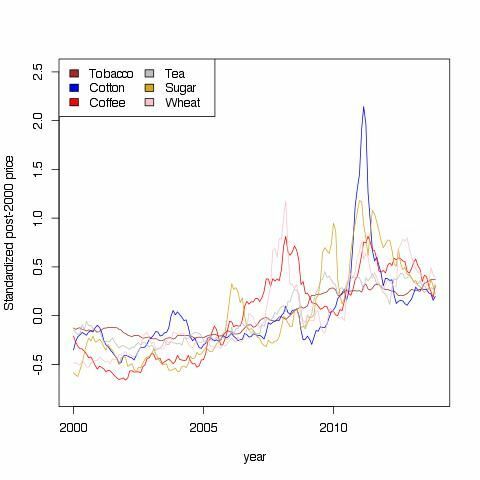 This project uses deviations of rainfall from historical averages and shifts in the global prices of commodities produced in specific parts of Zimbabwe to identify the causal effect of shifts in economic security on participation. It then uses qualitative methods to trace the causal processes underlying the observed relationships. One in five elections in Africa since 1990 have been afflicted by significant electoral violence, often perpetrated by the ruling party (Straus and Taylor, 2012). An episode of significant electoral violence can kill thousands and disrupt hundreds of thousands, leaving a lasting effect on an economy (Ksoll et al., 2009). More pernicious, however, is its effect on the quality of democracy. When candidates use coercion to win elections, they do not serve as an accountability mechanism for citizens to reward or punish their elected representatives. In countries that have experienced electoral violence, citizens have much lower faith in democracy as a whole (Bekoe, 2012). State violence sends clear signals to citizens that they will be punished for publicly revealing preferences by casting the wrong vote, chanting the wrong slogan, or even wearing the wrong T-shirt. Yet there is considerable variation in the extent to which such strategies of intimidation are successful. Some citizens are willing to resist even in extremely repressive contexts. We also see dramatic shifts in when these strategies work: repression can effectively keep unpopular regimes in power for decades, and then suddenly catalyze mass protest. This variation in outcomes creates a puzzle: for some, the threat of repression pressures people to stay out of politics or to feign support for the repressive regime. For others, however, the same level of repression is not convincing, or increases disobedience. Under what conditions are citizens effectively coerced? Which citizens are most likely to submit to the threat of violence? Today, prevailing theories predict that swing voters should be most susceptible to electoral violence. Based on the assumptions of rational choice, these theories conceptualize violence as a negative incentive that is essentially the inverse of a positive inducement like vote buying (Robinson and Torvik, 2009; Gutiérrez-Romero, 2014; Collier and Vicente, 2012). Candidates can use threats of violence or offers of rewards interchangeably and citizens process the expected utility of these promises and threats as positive or negative potential shocks to their utility. However, modeling threats as the inverse of positive inducements goes against a large body of research in psychology and behavioral economics on how stress or emotions affect decision-making. Emotions, particularly feelings like anger and fear, have large effects on attitudes towards risk and perceptions of the likelihood of good or bad outcomes (Johnson and Tversky, 1983; Lerner and Keltner, 2001). Being threatened with violence is exactly the kind of environment where you would expect people to feel stress and emotions such as fear and anger. The psychological effects of violence do not affect all people in the same way. Lerner et al (2003) show that women were more likely to feel fear after 9/11, while men reacted with more anger. These emotions in turn made women more pessimistic about their own personal risk of being affected by terrorism, and made them favor defensive over offensive policies. However, research on the use of coercive violence during elections has largely ignored gender differences in preferences or decision-making. My own preliminary analysis of public opinion data in six African countries that have experienced significant electoral violence suggests that existing theories explain little of the individual-level variation. Using data from the Afrobarometer survey, I find that swing voters are more likely to fear electoral violence in only two cases, and less likely in one case. Women, however, are significantly more afraid of electoral violence in four out of six countries, and the poor are significantly more afraid in all six cases. Being more afraid does not necessarily mean that these groups have higher exposure to electoral violence, but it does suggest that their behavior is more likely to be shaped by it. In my dissertation, I argue that electoral violence affects citizens on two levels: first, it transmits information to citizens about the probability and severity with which they will be punished for engaging in different political activities. This effect of violence is the focus of most existing research. My main theoretical contribution is to argue that violence also affects citizens on a psychological level, changing the way they perceive and process information. Specifically, the emotional responses that citizens have to violence—most commonly, anger and fear—play a causal role in shaping how they make decisions about whether to submit or resist the pressure of the state. My work builds on a large body of research about the impact of stress and emotion on cognition. Perceptions of risk are highly subjective, and influenced in predictable ways by emotions and context. Specifically, fear makes decision-makers more pessimistic, leading them to exaggerate their perceptions of bad personal outcomes, and more risk averse. Anger, on the other hand, has the opposite effect. Angry decision-makers are characterized by optimism and risk acceptance (Smith & Ellsworth 1985; Lerner & Keltner 2000, 2001). I argue that certain types of citizens—specifically, women and the poor—are particularly vulnerable to fear. Anxiety is caused by a gap between an individual’s perceived capacity and the challenge that she faces (Bandura 1977, 1988). Individuals with low self-efficacy are therefore more likely to feel fear in reaction to a stimulus such as the threat of violence. Those who have high perceptions of their ability to cope react with anger to the same level of threat. Because self-efficacy is formed through experience, people with low physical or social power tend to have low self-efficacy. Women in patriarchal societies and the poor have fewer opportunities to develop a belief in their own personal efficacy (Dercon & Singh 2013; Hughes & Demo 1989). Ultimately, physical and psychological factors work together to increase the propensity of these groups to judge that the risks of resisting the ruling party’s threat outweigh the benefits. 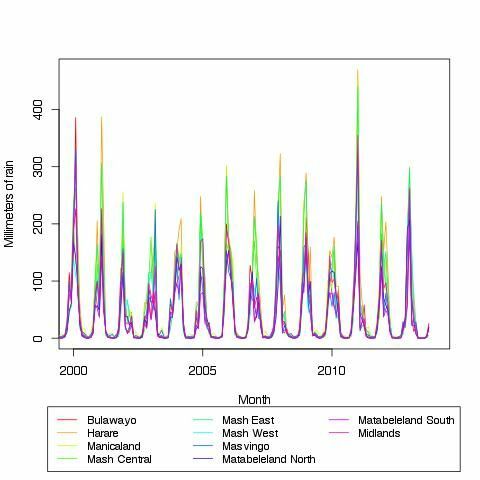 To test the implications of my theory, I use a unique combination of rigorous analysis of historical trends in Zimbabwe and micro-level studies of how citizens in multiple repressive settings make decisions about political risk. In the first paper in my dissertation, test whether women and the poor are more likely than their male and well-off counterparts to hide anti-regime preferences after state repression. I use random variation in the timing of violent events around an opinion survey to identify the causal effect of violence on respondent behavior. I find that violence causes significant and substantively large decreases in revealed support for the opposition, and that this effect is driven by people with low socioeconomic status. Although women are much less likely than men in Zimbabwe to reveal support for the opposition party, they are no more likely than men to hide their preferences after a violent attack by the ruling party. The rest of my dissertation focuses on identifying the role of emotions in how citizens respond to violence. To do so, I am organizing a series of lab experiments and conducting qualitative case studies in Zimbabwe and Romania. The experiments use images, video, and reflection to prime the emotions of anger and fear, and then measure their effect on how respondents perceive and process political risks. In both, I am using self-reported and behavioral measures of whether respondents are willing to take political risks such as signing public petitions that criticize coercive parties. In both of these experiments, I will also test whether self-efficacy is a mediating factor that enhances anger or mitigates fear and collect data on the correlates of self-efficacy in both of these settings. My dissertation research uses theory and methods from psychology to explain why women and the poor are disproportionately affected by electoral violence. By using a more realistic view of human decision-making than traditional rational choice models, I aim to explain why some coercive violence seems to have such unpredictable effects on citizens. In most cases, violence leads to fear and submission, but under certain conditions, it can backfire dramatically by causing an outburst of anger that makes citizens resist despite the risks. Understanding the heterogeneous effects of electoral violence is important for crafting effective policy to promote democracy and prevent human rights abuses. Efforts to organize citizens to resist violence before elections or to monitor electoral irregularities are currently targeted based on where violence is likely to break out. My research suggests that to maximize the impact of these interventions on the legitimacy of the election, they should be allocated based not only on the likelihood of irregularities but to areas where voters are particularly likely to succumb to threats. Second, understanding the psychological foundations of how citizens respond to the threat of violence can inform the design of better strategies to organize peaceful resistance to repression. A large proportion of US aid promotes democracy and governance abroad. Much of this funding supports participation in democratic institutions to challenge authoritarian practices or institutions. My research aims to identify the psychological characteristics that make citizens more likely to resist in the face of violent threats. The field experiment in particular evaluates which appeals are effective in increasing participation in peaceful resistance. Albert Bandura. (1977). Self-efficacy: toward a unifying theory of behavioral change. Psychological review, 84(2), 191. –. (1988). Self-efficacy conception of anxiety. Anxiety research, 1(2), 77-98. Bekoe, Dorina A. (2012). Introduction: The Scope, Nature, and Pattern of Electoral Violence in Sub-Saharan Africa. Voting in Fear: Electoral Violence in Sub-Saharan Africa. Collier, Paul, & Vicente, Pedro C. (2012). Violence, bribery, and fraud: the political economy of elections in Sub-Saharan Africa. Public Choice, 153(1-2), 117-147. Dercon, Stefan, & Singh, Abhijeet. (2013). From nutrition to aspirations and self-efficacy: gender bias over time among children in four countries. World Development, 45, 31-50. Gutierrez-Romero, Roxana. (2013). An Inquiry into the Use of Illegal Electoral Practices and Effects of Political Violence and Vote-Buying, Journal of Conflict Resolution, 58(8). Hughes, Michael, & Demo, David H. (1989). Self-Perceptions of Black Americans: Self-Esteem and Personal Efficacy. American Journal of Sociology, 95(1), 132-159. Johnson, Eric J., & Tversky, Amos. (1983). Affect, generalization, and the perception of risk. Journal of personality and social psychology, 45(1), 20. Ksoll, Christopher, Macchiavello, Rocco, & Morjaria, Ameet. (2009). Guns and Roses: The Impact of the Kenyan Post-Election Violence on Flower Exporting Firms. Lerner, Jennifer S., & Keltner, Dacher. (2000). Beyond valence: Toward a model of emotion-specific influences on judgment and choice. Cognition & Emotion,14(4), 473-493. Lerner, Jennifer S., & Keltner, Dacher. (2001). Fear, anger, and risk. Journal of personality and social psychology, 81(1), 146. Lerner, Jennifer S., Gonzalez, Roxana M., Small, Deborah A., & Fischhoff, Baruch. (2003). Effects of Fear and Anger on Perceived Risks of Terrorism A National Field Experiment. Psychological science, 14(2), 144-150. Robinson, James A., & Torvik, Ragnar. (2009). The real swing voter’s curse. The American Economic Review, 99(2). Smith, Craig A., & Ellsworth, Phoebe C. (1985). Patterns of cognitive appraisal in emotion. Journal of personality and social psychology, 48(4), 813. Straus, Scott, & Taylor, Charlie. (2009). Democratization and Electoral Violence in Sub-Saharan Africa, 1990-2007. In APSA 2009 Toronto Meeting Paper. Lauren E. Young is a Ph.D. Candidate in Political Science at Columbia University. She has studied collective action and engagement with the state and state-like institutions in countries around the world, including Liberia, Hungary, and Haiti. She also works in analysis and evaluation of humanitarian interventions with international organizations including the U.N. Office for the Coordinator of Humanitarian Affairs, International Rescue Committee, and U.N. Population Fund.